As part of its plan to create a powerful network of kid-friendly creators, Pocket.Watch has made clear its desire to open up off-YouTube opportunities for its partners. Its latest deal is a step toward that goal: Pocket.Watch has partnered with a pair of companies to create toys that tie-in to the personal brands of the network’s creators. The deal sees Pocket.Watch team up Bentex Group, with whom it has signed an apparel agreement, and Bonkers Toys, with whom it has inked a licensing partnership. 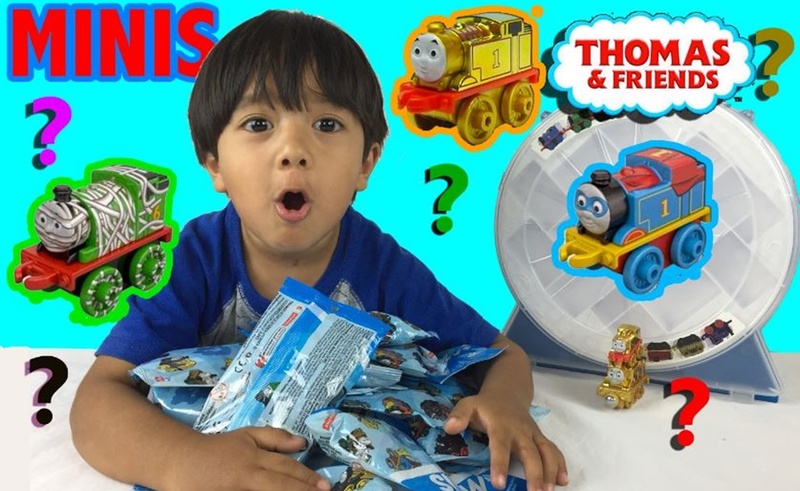 The shared result of these adjacent deals will be toys based off channels like Ryan ToysReview, EvanTubeHD, and CaptainSparklez, all of whom have joined the Pocket.Watch network over the past year. When Pocket.Watch announced its EvanTubeHD and Captain Sparklez signings, it also shared word of a pact with Simon & Schuster, through which several books authored by the network’s partners will be released. That partnership, which is now joined by the toy-making agreement, shows Pocket.Watch’s commitment to offline revenue streams. The first line of Pocket.Watch toys will be based around the Ryan Toys Review channel and is expected to debut at Toy Fair 2018.